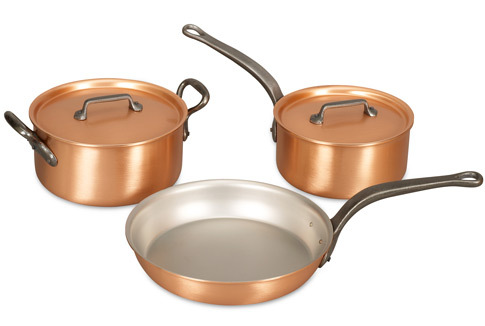 Three modestly sized pieces, along with two lids, are included in this set that caters for the single person. Durable, rustic cast iron handles set off the glow of Falk's exclusive brushed finish that is easy to maintain. The solid copper bodies provide even heat distribution that gives you accurate temperature regulation and more control over results. Hygienic stainless steel interiors provide intense flavours. We know you'll love this	single minded set	as much as we do. Superb product and customer service! The communication and service I received was second to none as these pans were a surprise birthday present I had some special delivery requests which were all met. They even included a card which I didn’t request. Very happy and would definitely use again! 1043 customers found this review helpful. Did you? Yes, I did!